Incorporating social media into your marketing strategy is one of the best things you can do to generate extra revenue while also giving your clients an important service they need. In the last a few years, social media marketing has changed the entire landscape of the marketing. It has emerged as one of the easiest and cost-effective methods of bringing customers to websites, build relationships, and generate profits. But with the limited resources, software, and knowledge most entrepreneurs, freelancers, and marketers have, they must rely on white label social media reseller programs. 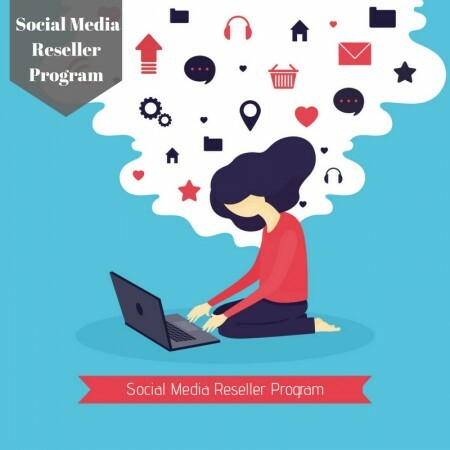 Social media reseller programs connect businesses to new or experienced social media marketers who are looking to take their business to the next level. This leads to bringing new customers to your clients and you keep the 100% of what you charge clients for the social marketing. With the help of social media marketing programs, you can easily manage different social media accounts on the go without having to worry about time consuming management. Social media marketing professionals or resellers can easily create contests, shopping or deals. On the other hand, business owners can have a peace of mind that all their social media accounts are well taken care of by the professionals. Most of the individuals have a misconception that they need to have prior experience in the social media marketing in order to become a reseller. While this is not the case, the resellers would be provided all the necessary training, support, marketing material, branded website, etc. to create an impressive presence of their clients’ businesses online. The resellers can set their own plans and prices and charge customers whatever they feel like. The social media marketing resellers would go an extra mile to ensure all the needs of the businesses are met in an effective way. They would update the social media profiles for the clients; create social contests, giveaways, and sweepstakes to grab the interest and attention of the customers. Reputation monitor software helps resellers’ clients protect their good reputation online so they can respond to customer messages, reviews or comments while they are fresh. Moreover, the resellers would be provided ongoing training and support to ensure they do not face any problems. There is an online dashboard that helps social media marketing professionals to track all of your key metrics and view everything that is said about the businesses online.